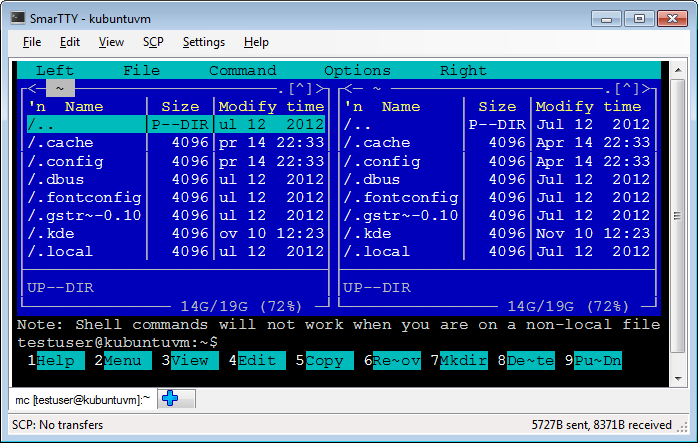 VisualGDB includes a built-in SSH console. 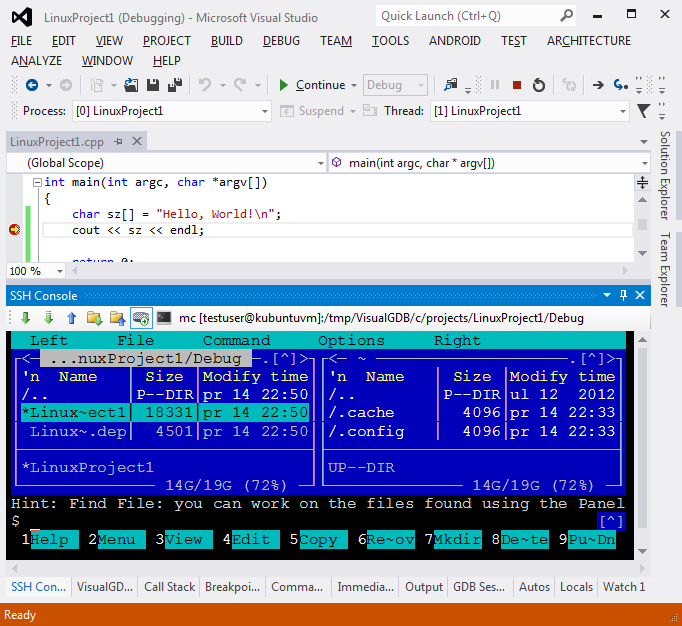 Just click on the 'SSH Console' window during a debugging session to quickly open a console on the debugged machine. The SSH console supports terminal emulation (including mouse), fast file and directory transfers with SCP and will open instantaneously as it uses the same SSH session as the debugger.